Quizlet Live and Gimkit are great tools for a variety of reasons and many teachers use it. I love them because they creates class culture by having students work together with different people and I can quickly mix up the groups if I am not liking some dynamics and/or seeing imbalances with teams. I also have 85 minute classes, so I this a great way to break up that long time period. I sometimes use these tech tools to quickly preview/introduce vocabulary for a story and/or a unit and students play with English to Spanish definitions. This is quick and easy. Here is an example set. However, far more frequently, we play Quizlet Live and Gimkit with fill-ins and comprehension questions and this is a much more useful and CI focused way to use it. It is also much slower and students have to read and think a lot more! A few people have asked about what the sets look like, so here are a couple of sets from Quizlet (I export these to Gimkit too). This one is to review the story "Un hombre un poco obsesionado" (to go along with the song "Ella"). 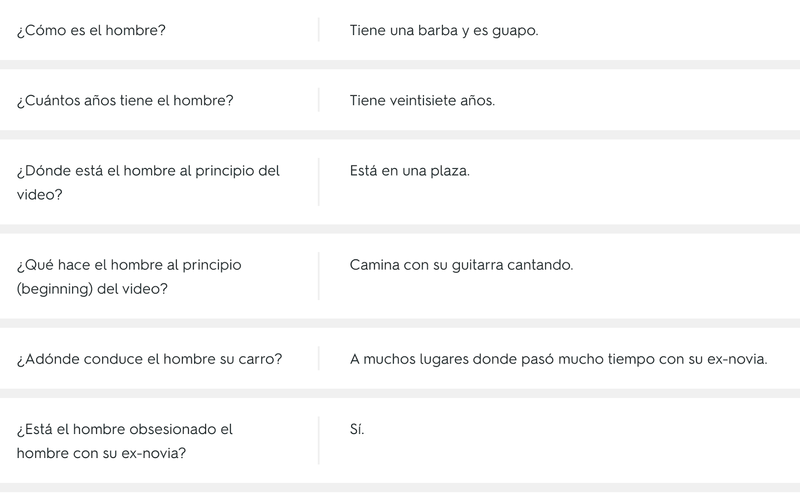 These are some of the questions in the Quizlet set. Here is an example of fill-ins. This one is to review part 2 of the Intermediate version of "22 otra vez". And again, when playing Quizlet Live, I would choose the version on the right. Edpuzzles are really good for Interpretive Listening. And these Dreaming Spanish videos contain lots of information about Spanish cultural products, practices, and perspectives. They will be an excellent accompaniment to my lotería unit (small unit on here TPT and bigger unit here on TPT). My students will be doing some (or all) of these during the next three weeks. These will also be perfect for a Blizzard Bag day or a sub day... or a we-all-need-some-quiet-time-day! I am sharing them here in case anyone wants to use any of them. Some are very basic, so really good for Novices. After the fourth Edpuzzle (Xmas Sweets), I am going to give students some turrón and Ferrero Rocher! If you put your mouse on the Edpuzzle, you can copy and edit it to use it in your Edpuzzle account (here is a 26 second video to show you how to do that). Ay, Pablo from Dreaming Spanish... how I love his videos!! If you do too, consider supporting him on Patreon. One reason I love his videos is that they are comprehensible and my students get Comprehensible Input from another voice besides their teacher! So, I start the unit with this wonderful slideshow (see below or click here to make a copy) that I adapted from Annabelle Allen (who adapted it from Jim Tripp's script). Slides 2-6 are my traditions (and pictures of my boys when they were younger... I particularly love slide 2 and wish they still wore matching pajamas, but alas, there is no way my thirteen year old would agree!). After those slides, the slideshow describes el Tió de Nadal, a tradition from Cataluña and Aragón. It is funny and the students get a big kick out of it! And, of course, Pablo has a video in which he talked about el Tió! I was hoping there was already an Edpuzzle made with this video, but, surprisingly there wasn't! So, I made this Edpuzzle. I love Edpuzzle for homework, in class, and frequently as an assessment. If you haven't given Edpuzzle a try, I highly recommend it! And this could be a fun way to start! These resources could make for good sub plans too! This slideshow breaks the story into two parts and has three Quizlets (part 1 and part 2) to review each part. A fun song of the week to sing and dance to! If you want a past tense version and with more resources, find it here on TPT (and see a previous post about it here) or support me on Patreon and I'll send it to you! And below are some possible assessments. My students will be taking the test tomorrow. I am having a sale in TPT store for Cyber Monday... and Tuesday. Make sure you enter the Promo Code: CYBER18! I really love comprehensifying and extending authentic resources! And below are some of my (and my students') favorites. These are super engaging units that incorporate the 5Cs and the three modes of communication. Álvaro tiene un problema - A really fun Novice unit based on an awesome song. If you have been wanting to use a CI Story Unit, this is a good one to start with! Soy yo - A very Novice CI Story unit... students love this song! Internacionales - An Intermediate CI Story unit, excellent for that travel unit. Cásate conmigo - An Intermediate CI Story unit and just a fun song! Story/Song of the week - This contains 18 CI Stories for Novices (or Intermediated too!) and activities to do with them. The stories are based on authentic songs and music videos. There are lots of other good deals in my store too! The starting point of this new unit is a story based on the song "Puebla" by Álvaro Soler... so it sure to be a hit! From that story, which incorporates Barcelona and Puebla, students will go on to learn about Barcelona and Puebla, delving into authentic resources, related to food, travel, architecture, and a legend... all also very engaging! See below (or here) for the Essential Questions, Enduring Understandings, "I can" statements, and possible evaluations. If you don't want the whole unit, you might just want to use the story and the song. Click here to access the unit. Feel free to make a copy and adapt it to your needs! If you find this useful (or anything else that I share for free on my blog) consider supporting my work on Patreon. ¿Cuáles son algunos productos, prácticas, y perspectivas culturales de Puebla, México, y Barcelona, España? ¿Cómo son algunos productos, prácticas, y perspectivas culturales de Puebla, México, y Barcelona, España similares y/o diferentes de los míos? Songs, music videos, and stories are an excellent way to acquire language and use the language for enjoyment, enrichment, and advancement (ACTFL Communities: Lifelong Learners standard). The cultural products, practices, and perspectives of the Spanish speaking world are not monolithic (i.e. Spain and Mexico do not have the same culture). The cultural products, practices, and perspectives are extremely diverse and, although there are some similarities because of historical connections, there are many differences. Puebla, Mexico, and Barcelona, Spain, are two cities in the Spanish speaking world. Puebla, Mexico, and Barcelona, Spain, have diverse cultural products, practices, and perspectives. The cultural products, practices, and perspectives in Puebla, Mexico, and Barcelona, Spain, are similar and different to those in the United States. I can understand a story and song, and show that I understand it in a variety of ways. I can interpret readings about cultural products, practices, and perspectives in Puebla, México, and Barcelona, Spain. I can explain how the Spanish speaking world is diverse. I can read and listen to authentic resources and do the following: identify the main ideas; identify the cultural products, practices, and perspectives; identify key words, infer meaning; and identify the purpose of the resource (inform, persuade, influence, teach, etc.). I can identify, compare, and contrast cultural products, practices, and perspectives in Puebla, México, and Barcelona, Spain do my own. Interpretive Listening: Listen to statements about the story "Piérdete en el momento" and identify if they are cierto or falso. 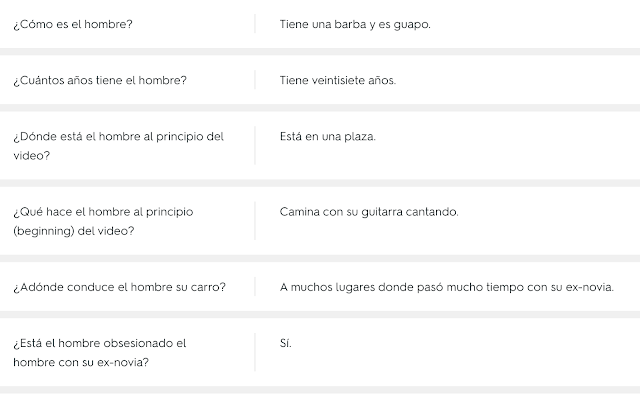 OR Listen to questions about "Piérdete en el momento" and write the answer. Presentational Writing: Write a similar story to "Piérdete en el momento". Use vocabulary and structures from the story. Presentational Speaking: Say a summary of the story "Piérdete en el momento" using your drawings and key words to support you. Presentational/Interpersonal Speaking: Have a discussion with a classmate about Barcelona, España. Interpretive Listening: Listen to statements about cultural products, practices, and perspectives and identify if it is Barcelona, España, or Puebla, México. Interpersonal Writing: Read and respond to an email from a friend requesting advice about where to go on vacation. Recommend either Puebla, México, or Barcelona, España. Explain why using information that you have learned in the unit. Presentational Writing: Compare and contrast the cultural products, practices, and perspectives of Puebla, México, and Barcelona, España. You can use the Venn Diagram that you prepare ahead of time. I saw this video posted in a Facebook group and thought it would make an excellent parallel story to "22 otra vez". So, I wrote up a basic Novice script that tells the story of the video. 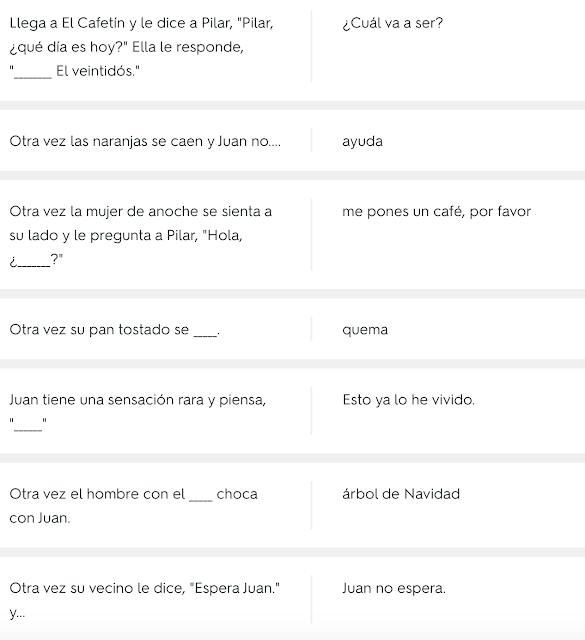 I tried to use some of the vocabulary from the Novice version of "22 otra vez". Students could do a Listen and Draw activity or a Read and Draw/Summarize activity or both. After doing one or both of those, students would watch the video. See the present tense story script below and click here to make a copy. Novices: Interpersonal Writing - Responding to a text message. 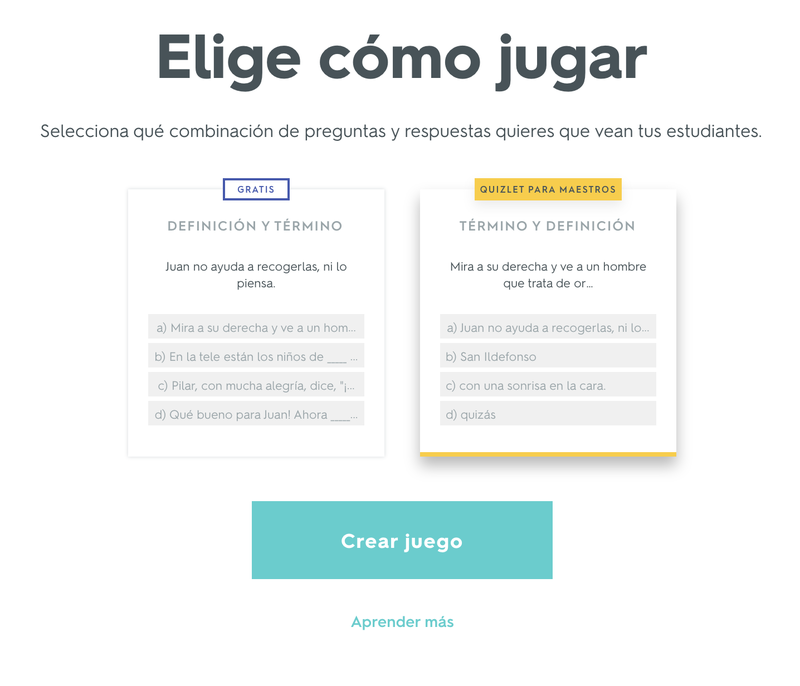 La Lotería: Dreaming Spanish Edpuzzle and a preview of resources! Update: This unit is done! It is for Intermediates and you can find it here on TPT. We are working on readings and other activities for Novices and Intermediates and we will be sharing soon-ish! 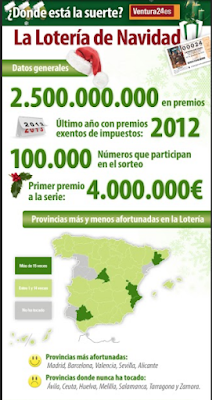 To start this unit, I am going to have my students do this Edpuzzle to learn about the Spanish lotería. Thanks to Pablo for making this video! After that, they will do the Task Talk with students and as a whole class discussion. Then, we will delve into the reading, other activities (¿Quién lo dijo/hizo?, Quizlet Live, Gimkit, Kahoot Jumble, Quizizz, and more), and then finally watch the commercial! And here a preview of what we are working on. This is the Intermediate version. We have broken the commercial into four parts. This part of the slideshow has the beginning activities and the reading for part 1 (up to 1:13). You will see that the text fades in when you click, that is so teachers can do picture talk if they want or read to students (hear first, read later). I have blogged about Bill Van Patten's book While We're On The Topic before. I, again, highly recommend it! One thing that I really like are what BVP calls "Tasks". BVP explains the difference between Exercises, Activities, and Tasks in detail in his book, but I super-simplified it in this post. I also shared two examples of Tasks: one for Weekend Talk and one for ¿Jugamos más deportes ahora o jugábamos más cuando éramos niños? These Tasks, in addition to being communicative, are also giving lots of INPUT and building community in the class because of the wrap-up class discussion where they share about what they learned about their classmates. 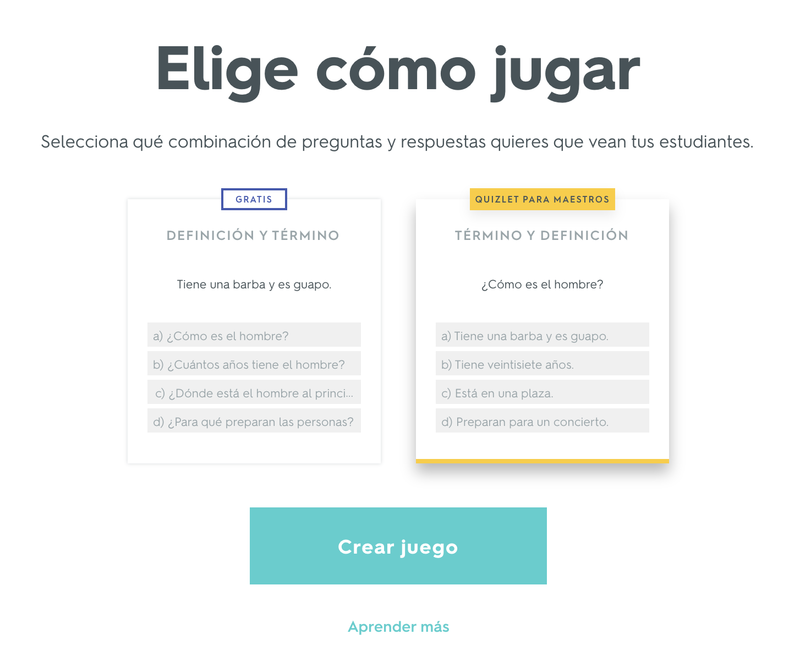 I like Tasks so much, that I decided to create one to use as starter activity at the beginning of my Lotería unit (or this smaller unit with the new "22 otra vez"). See the doc below and/or click here to make a copy of it. Pablo from Dreaming Spanish has just made a video about Álvaro Soler! I think it will be a very popular one! 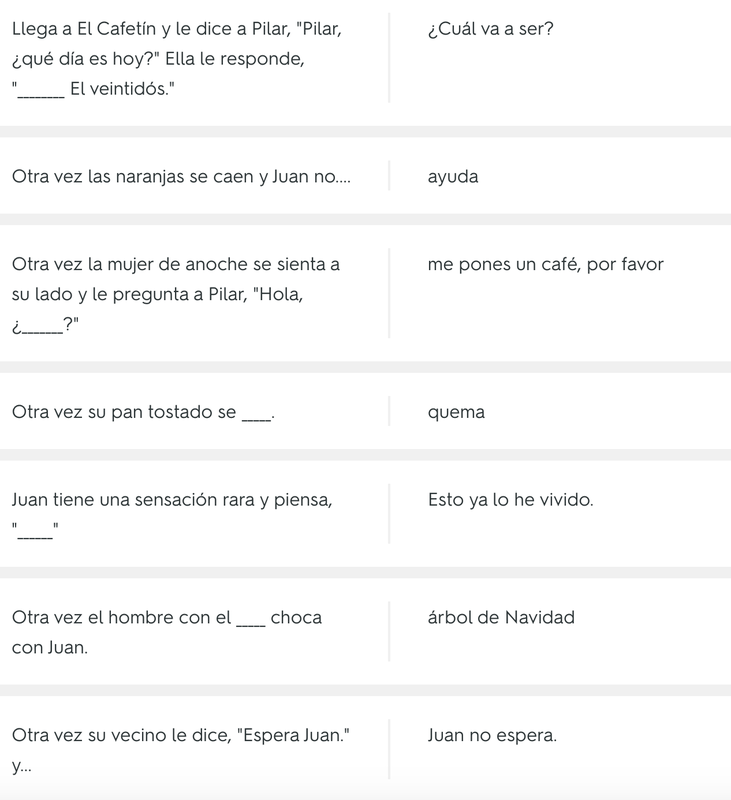 I am out of school on Wednesday and starting a new unit, so I made up this Edpuzzle (click here or see below) for my Spanish 2 students to do. It is pretty basic and easy because I really want them to watch the video, understand it, enjoy learning more about Álvaro, and feel confident that they can watch a ten minute video ALL in Spanish and understand it! If you and/or your students love Pablo's videos, you should consider supporting him on Patreon! And here are a few other resources to use with some of his videos: here and here. I am finally reading Bill Van Patten's book While We're on the Topic and it is excellent and making me think a lot! I highly recommend it. It is definitely a paradigm shift. Reading this book has been good for two reasons: 1) it is reaffirming a lot of what I do in my classroom and 2) it is challenging me to think deeper about some of the things I do... and make some changes. I am about 87% through the book. I have highlighted a ridiculous amount of passages and will go back and reread those! Exercises: Not communicative. There is no focus on the interpretation and expression of meaning. The purpose is to practice language. Activities: Partially communicative. Seems to have a focus on the expression of interpretation of meaning, but it lacks purpose other than to practice language. Tasks: Communicative. Tasks involve the expression and interpretation of meaning. Tasks have a purpose that is not language practice. So, with that in mind and following his "Active or Sedentary?" Task, I am going to have my students do a similar Task, but to talk about the weekend. Students read 20 activities (in the first person) that they may have done over weekend (I got these from this presentation from Christy Lade) and put a check or an ✘ o ✔ in the column next to each one. Note: This is an input activity. Novices could not do this Task without the input. Then, they will ask their classmates if they did some of the activities. They will have the questions (in the second person) in front of them on the paper. I will set them up in lines or a circle facing each other and then rotate on a 10-20 second timer. They will write down the names of people who did certain activities. I will encourage students to ask a variety of questions throughout this process. Note: This is also an input activity. Novices could not do this Task without the input. Then, I will project the activities (this time in the s/he form) students will share the information about their classmates. We will discuss what the most popular and least popular activities were. We will discuss what type of activities are most popular (tech, active, or sedentary) We will also discuss certain activities and people, including myself, in more detail. Note: This is another input activity. Novices could not do this Task without the input. This could also be considered Input flood, in which you "saturate your input with whatever you want to push along." As BVP writes, "We know, for example, that the internal mechanisms for language partially respond to frequency... One way, then to push past along is simply to use it more." And, if use the version with the endings bolded and underlined (see doc), this could also be Input enhancement, which draws the learner attention to more difficult aspects of language by manipulating input. BVP states that one way to "manipulate input is to bold, color code or otherwise "highlight" articular things in written text." Then they will interview a classmate or classmates. Then they will share their information and we will discuss and answer the question: ¿Jugamos más deportes ahora o jugábamos más cuando éramos niños? I am interested to see if they are more active now or when they were kids! This will also be the first time they see and hear the imperfect. You will notice the Input enhancement with the imperfect in italics. Here is the template in case you want a time saver.